You passed all your exams – finally a new student with a sinking heart enters the audience, which is full of other new students. 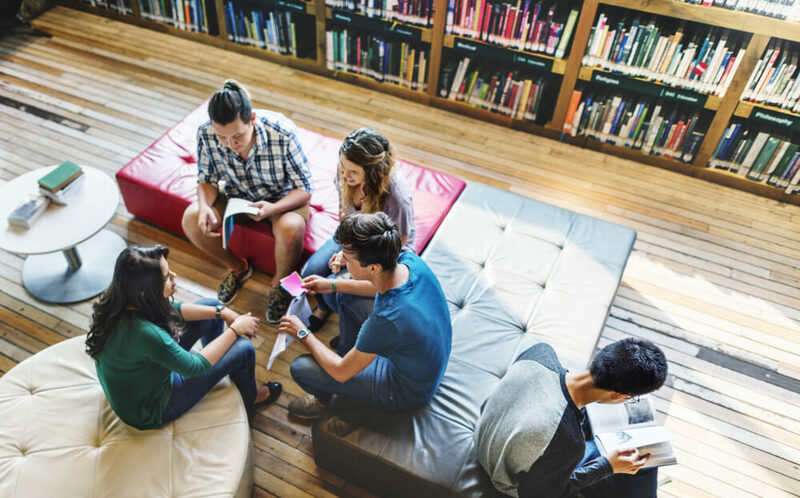 It’s not a secret that student life is frequently associated with fun and relaxing days in a friendly company, but not with an active and intensive studying, which opens the way to a brighter future. In college, as a rule, your fellow students share your views, interests and have a similar level of education. Among them, you can find those who can be the most reliable and close friends in your life. In addition, friends from college are also your possible future employers, customers, competitors and just people that can be useful. The importance of establishing relations with them is hard to overestimate. Therefore, in our today article, we will find out how to collaborate with your roommates, classmates and professors. How to deal with roommates? Respect them. To have no problems with roommates, you should respect them. For example, if they are preparing for the exam, do not disturb them. However, they should not violate your rights too. You must live in harmony and mutual respect. If your neighbors have lived together before, then try to find out their rules. Private area. Just let them know where your private area starts. Agree what will you have common (detergents, food, books) and what they absolutely cannot take (clothes, personal belongings). Your guests. If you invite guests, you should always inform your roommates about this and discuss this with them. Keep the house clean. Always keep the room clean. Timely wash dishes and throw away trash. Only in this case, roommates will treat you with respect. Keep calm. Do not quarrel with your roommates. Any questions and disputes must be solved only peacefully and without shouting. So you can maintain harmony in the room. How to deal with classmates? In fact, there is nothing easier than to make friends in the first year of college. At this age, most young people have a desire to communicate, as well as the propensity to make new acquaintances. Sometimes even quick conversation at the desk, in the hallway or on the way to home can give you a lot of the information about the person. So do not hesitate to talk to other people, communicate with a random neighbor during the lecture. Even if it is only first days in college and there are no common topics to talk about, you can always discuss entrance exams and memories from school. Your classmates in college are your future colleagues and friends who always help. That is why it is always worth having a good relationship with them. How to do it? Simply! Be where your classmates are. Never refuse invitations, if your classmates call you in the cinema, cafes or just for a walk, because if you do, you risk getting into a social isolation. The group in a few weeks can become a closed community and you will never have a chance to become friends with them. Do not be afraid to talk about them. Meeting new people do not hesitate to talk about themselves. Otherwise, others may think that you are a closed person, who does not want to talk with somebody and who is not open to new acquaintances. Be interested in other people. All people, with a few exceptions, like when they are interested. So do not hesitate to ask about hobbies, interests and opinions. This will help you to become close friends with your classmates. Do not be afraid to experiment. In addition, do not be afraid to communicate with different people. It is almost impossible to predict who will become your best friend at first. Try to communicate with everyone and only then decide who shares your interests and will be a useful friend. How to deal with professors? Be active. Always try to show interest in everything that lecturer said in a lecture room and ask questions. Try to visit some groups, where you can improve your professional skills. Perhaps, then you will be noticed by lecturer and he will treat you better. Take part in some student volunteer organization. Try something new, collaborate with other students, help to organize various celebrations in college. Professors and lecturers appreciate these students and always try to help them. Good study. It seems very trite, but it is true. If you do not want to lead an active student life, you should just learn carefully. Don’t hesitate to ask for homework help if you need it. Then you will get excellent grades and professors will know that you are a responsible student. Anyway, I hope that these practical tips will help you to become a successful student in college. Just follow them make yourself more effective.